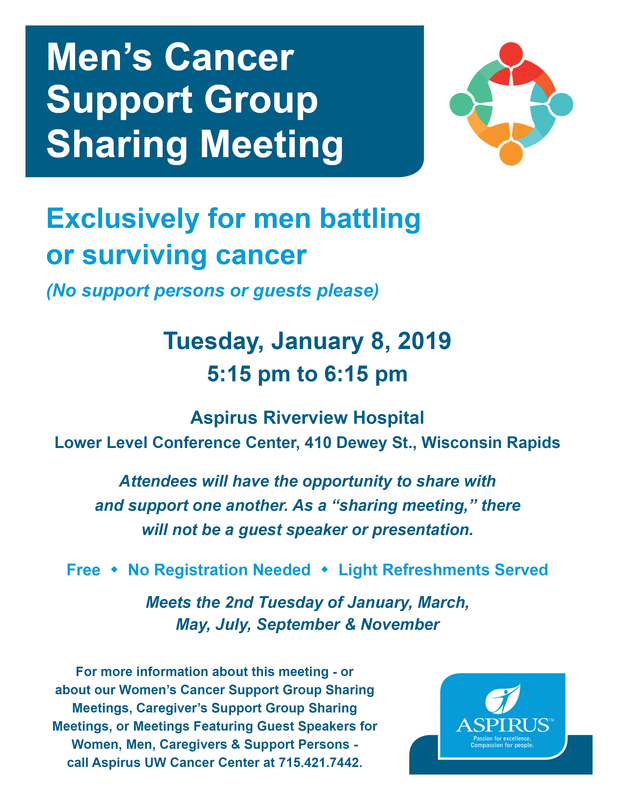 A men’s cancer support group sharing meeting will be held Tuesday, January 8; while a women’s cancer support group sharing meeting will be held Monday, January 14. 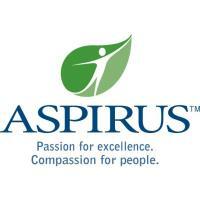 Both meetings will be from 5:15 to 6:15 pm in the Aspirus Riverview Hospital Lower Level Conference Center, 410 Dewey Street, Wisconsin Rapids. The sharing meetings are exclusively for cancer patients and survivors. (Please no support persons or guests.) Attendees will have the opportunity to share with and support one another. As “sharing meetings,” there will not be guest speakers or presentations. The meetings are free, and no registration is needed. Light refreshments will be served. 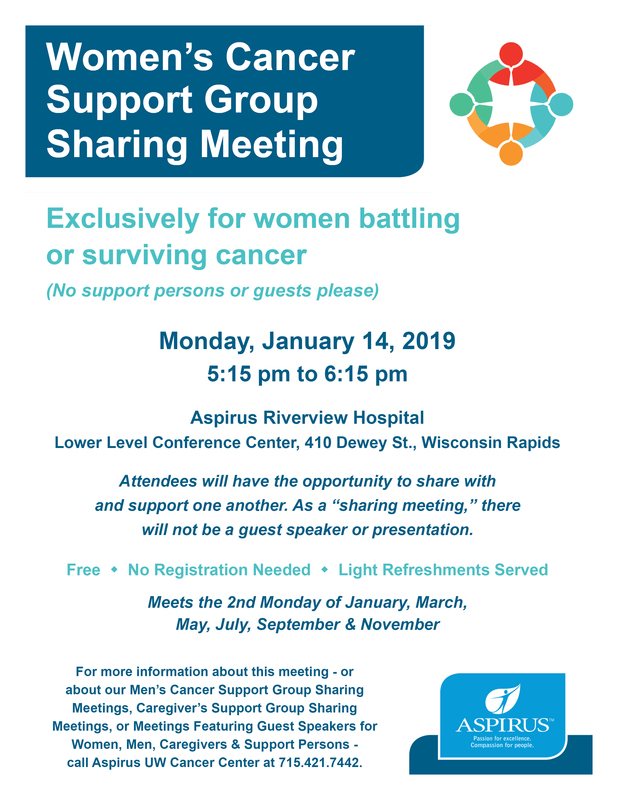 For more information about these meetings - or about caregiver’s support group sharing meetings or support group meetings for men, women, caregivers and support persons that feature guest speakers - please call Aspirus UW Cancer Center at 715-421-7442.